For 41 years, The Pendle Heritage Centre has held a long lease from Pendle Borough Council. Although we used to receive a small grant, we have had nothing for several years now. So how have we kept going? We have ramped up our commercial activity considerably. We host weddings and parties, conferences and meetings, and all manner of events – check out our Five Star Facebook ratings! The thing is, we do all of this in contravention of certain clauses in the 1997 lease. Pendle Council know all about it – they just never got round to updating it and we have asked often enough. We were presented with a new, less secure lease – one that had some of the revisions in it we wanted to see, but overall unsatisfactory, nonetheless. We pointed this out and this summer asked for the freehold to be transferred directly to ourselves to solve these differences. You probably don’t know, but our “Parent” at the Heritage Centre is the HTNW – it’s like a mini National Trust for the North West. 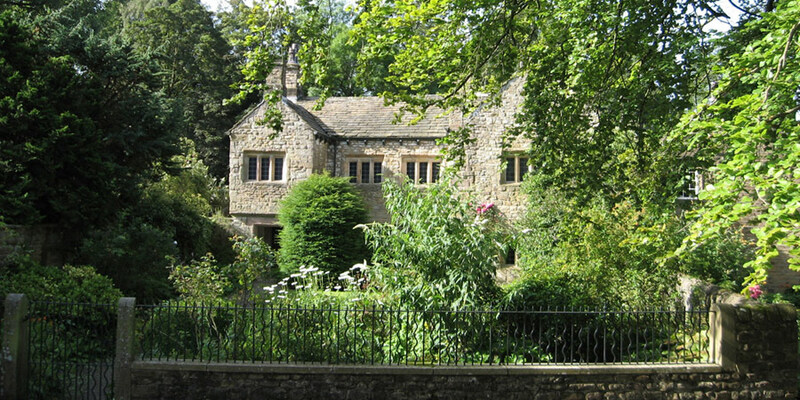 It successfully runs some 30 Listed Buildings across the region and is a very experienced heritage and commercial body. If Barrowford Parish Council were just to be transferred the freehold and they maintain the old Pendle Heritage Centre lease unrevised, which is one of the proposals on the table for the Full Council meeting of Pendle Borough Council on 25th September at 7 p.m., it could spell disaster. If Barrowford Parish Council were to enforce this lease, as one Barrowford Councillor has said they would, then the Heritage Centre would surely close, as it would be unable to operate without the late-night events and alcohol sales that are required to support the Listed Buildings, walled garden and museum. For Pendle Borough Councillors to stand by and allow this to happen would be disgraceful. Pendle Council has allowed the Heritage Centre to operate without constraint. The result has been nothing short of a miracle – a heritage body that successfully operates without a public authority grant and which conserves old buildings, runs an accredited a museum and educates and entertains the public. When we heard that Barrowford Parish Council was refusing to take over the running of the park earlier this month if the freehold were to come to The Pendle Heritage Centre, it made sense to consider taking the park over too and so the offer to do so was made to Pendle Council officers. This offer would be of great benefit to the wider region and to the town of Barrowford, as more events would be mounted, increasing the tourism spend in the area. If you think about it, the decision to award the freehold for the Heritage Centre to Barrowford Parish Council in 2016 was anomalous and was not a decision taken by Full Council, but by the then Executive. Why should a small Parish Council have power over Pendle’s Heritage Centre? The clue is in the name: It isn’t Barrowford’s Heritage Centre, it is Pendle’s! A direct transfer of the freehold to The Pendle Heritage Centre avoids unnecessary bureaucracy and cost for us. The HTNW, like The Pendle Heritage Centre Trust, is a charitable trust and not a private organisation. If the decision is not made to pass the freehold or a very long, revised lease based on 1997 lease onto the HTNW, then Pendle Council should retain ownership of the freehold for the residents of Pendle. This option has zero cost implications for Pendle Council. Transferring the old lease unamended would be completely unfair, risking the secure financial footing of the Heritage Centre, whilst also being contrary to the 2016 resolution of the Council Executive. Pendle Heritage Centre staff, volunteers and its Friends Group are united in the view that Pendle Borough Council should award this self-sustaining jewel in Pendle’s crown as much autonomy as possible. Please also come to the meeting to support us at Nelson Town Hall on Tuesday, 25th September at 7.15 p.m. We need your help now more than ever!